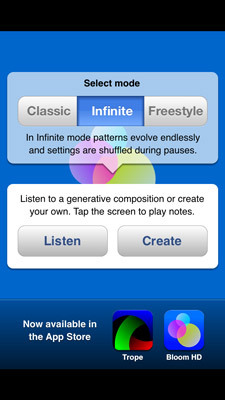 Some developers and designers see the new touchscreen interface on your iPad and iPhone as a place to create new and different sounds. Their apps take advantage of the different things you can do with your iOS device. Some apps already show hints of new touchscreen functionality. Notice the line drawn across the grid on the Animoog screen. That line gives you a visual representation of the sound, and moving that line around (or redrawing it entirely) makes the sound change in new and different ways. As with the grid from the Smart Drums app, the volume and tone of the synth change as you move that line across the screen. Touch the screen, and the sound changes as you move along. But if you want to make new sounds — sounds people don’t hear every day— you need to look at new methods of interacting with the devices that make that sound. Techie types call these user interfaces, but this concept basically refers to the way you make the device create the sounds you want to hear. The touchscreen presents a whole new way of interacting with sound-making devices, and gestures such as touches and swipes can count for all kinds of actions. 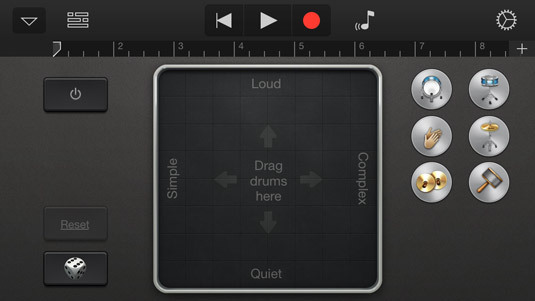 Take a look at three different apps that change the way iOS makes music. 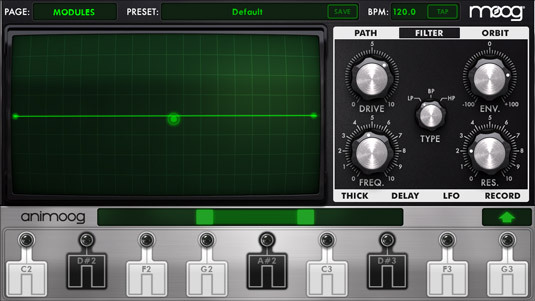 These three apps throw away the standard ways you approach music and make sound. These apps help you create new music and think about sound in a much different way. Or they let you make a whole bunch of racket if you forget to plug in your headphones. Either way, the whole process becomes pretty fun in short order. 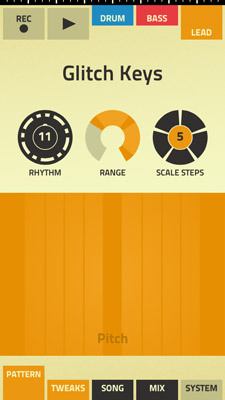 Propellerheads (the company that makes Figure) kept the standard electronic music components of drums, bass, and melody in its Figure app. But it definitely changed the way you produce the music. Switch between the three parts by tapping the tabs at the top of the screen, and change the rhythm and range of the parts using the dials in the middle of the screen. You can quickly tap out notes on the bars on the screen, or you can hold down and move your fingers around the bars to produce a rhythmic track based on the Rhythm setting you chose. After you record your parts, you can mess with the tempo and keys to produce an entire song. You might not get a ton of choices (although Figure does offer a bunch of sound options for the parts), but you can get a song down quickly, easily, and mess with music in a new and different way. Okay, so first off — Bebot is cute. 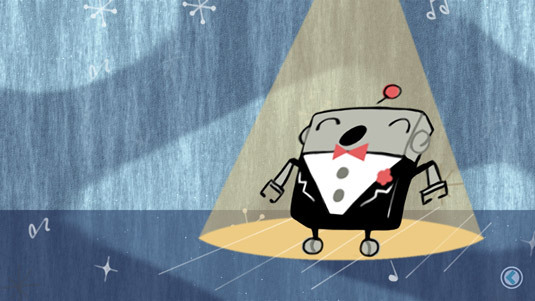 This app looks more like a cartoon robot dressed up for a night on the town. But once you put your finger down, Bebot starts to sing. Move your finger from left to right to raise the pitch of the sound, and move your finger up and down to add higher frequencies. Technically, this kind of app uses an x–y axis (made popular by the physical Korg Kaoss pad and the Kaossilator app), but that sounds too much like math and not like music. If you double-tap the small arrow icon in the corner, you can change several different preset sounds, add some sound effects, or even save your own patches. What looks like a simple app turns into a fun music machine that’s inspired some additional apps (including efforts by Dream Theatre keyboard player Jordan Ruddess, who has performed with this app before — go look up some YouTube videos for a sample of what’s possible). This app actually debuted a few years ago, but it presents a revolutionary way of approaching music, in that you are a participant in the music without retaining total control of the music. 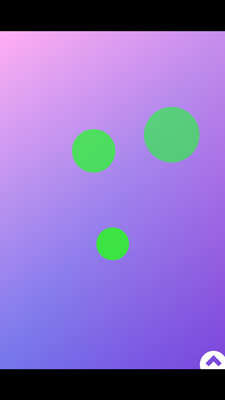 Bloom (and its sister app Scape) make generative music — you select some presets and let the app go to work. You can let Bloom do all the work if you wish, but that’s not really being a musician, is it? When you get to the main Bloom screen, you can tap over the screen to create a series of chiming sounds. These chimes play in a loop that stretches time as the app plays on, so it creates more of a meditative sound than a cohesive music piece. But Bloom gives you an idea of what’s possible and how you can interpret sound on the iPhone or iPad. Or just chill out between sessions. Whatever works best for you.